Dr. Hadi Seikaly is a Professor in the Department of Surgery, Faculty of Medicine at the University of Alberta. He is presently the Director of the Division of Otolaryngology Head and Neck Surgery, and the Zone Section Head for Otolaryngology Head and Neck Surgery forAlberta Health Services. 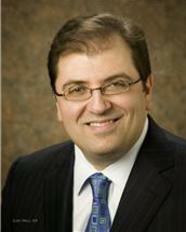 Dr. Seikaly is the co-editor of the Journal of Otolaryngology Head and Neck Surgery. He serves on several local, national, and international administrative committees and is on the Executive Council of the Canadian Society of Otolaryngology. Dr. Seikaly graduated from the University of Toronto medical school and completed his residency training at the University of Alberta in Otolaryngology Head and Neck Surgery. He then obtained fellowship training at the University of Texas Medical Branch in advanced head & neck oncology, microvascular reconstruction and facial cosmetic surgery. Dr. Seikaly returned to the University of Alberta as an attending in the division of Otolaryngology Head and Neck Surgery in 1996 where he has been active in patient care, teaching, and research. Dr. Seikaly continues to have a large practice dedicated to head, neck and skull base oncology and reconstruction. His research interests include functional surgical and reconstructive outcomes, microvascular head and neck reconstruction, submandibular gland transfer, digital planning and medical modeling as it applies to the head and neck region. He has published more than 90 papers in peer reviewed journals and numerous chapters. He is the recipient of the Top 10 teacher award for the past ten years. Dr. Seikaly previously served as Residency Program and Divisional Research Director.